If you like this blog, forward it to your friends. Let’s keep the conversation going. Stephen Hawking is famous. He should be. He’s a very influential theoretical astrophysicist. And he’s achieved that fame and influence despite being diagnosed many years ago with ALS. 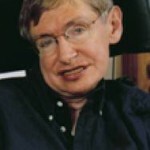 Dr. Hawking can’t talk in his own voice. For the most part, neither can I. Dr. Hawking can’t type either because he’s hands don’t work. So in recent times, he has spoken through a device that translates a signal from a muscle in his cheek into letters, and then words, and then sentences and paragraphs. It’s a wonder of technology, and it’s a good thing. 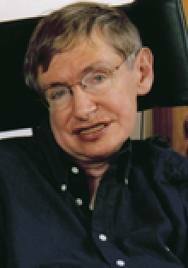 As is the case with a relentlessly progressive neurological disease like ALS, Dr. Hawking’s cheek muscle is becoming non-functional. But, fortunately for Dr. Hawking, he has a team from the technology giant Intel working to find a new mode of communication for him. There are thousands of people with ALS who have things they want and need to communicate, but they’re not Stephen Hawking. So Intel isn’t knocking at their doors to offer help. Of course, what Intel develops for Hawking might someday become a technology that will help others — assuming others can afford the cost. But that’s a future that, unfortunately, a lot of ALS patients will not live to see. But there are needs that some ALS patients have now that are easy to solve. They don’t require new technology. They just require a little generosity. Which, it seems, is not so easy to come by if the company you need something from is called Apple. have lost the ability to speak. They are somewhat heavy, expensive, and cumbersome to use, especially if you are a person who has done any typing or word processing n your life. The iPad (even the iPad 1) — made by Apple, in case you missed that news — is lighter, less expensive, and has apps that convert typed text to speech at the touch of an icon. I’ve been using an iPad since my voice started to deteriorate. Since I can still type, I don’t need to speak the way Stephen Hawking does. iPad 2. Sleek ain't it? dedicated text-to-voice machine. (I have the iPad1 and it works just fine.) 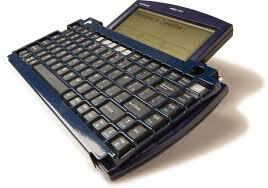 A blue-tooth keyboard so you don’t have to type on the screen is another $100. There are at least two free apps — from Neo-Speech and Speak It! — that allow you to type whatever you want to say, and have the iPad say it for you in a voice that at least is recognizable as human voice. They both have female and male voices that can be downloaded. 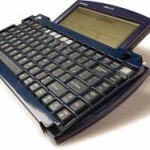 The text you type can be saved to be used again, and the voice can be easily amplified (with a plug-in amplifier that costs about $100)..
And, of course, the iPad has other features — email, web access, text — that make it an easy way for people with ALS whose mobility is severely limited to stay connected to the world. 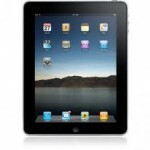 Though the iPad is cheaper than dedicated speech devices, its price is out of the range of a lot of people. So I inquired of my speech therapist about getting Apple to donate iPads for use by people with ALS. I was told it had been tried repeatedly, but never successfully. Seems Apple doesn’t give away its products, despite the profits they amass. I am helping the Golden West Chapter of ALS Association try to get funds to buy iPads. But there’s an easier way. Apple could donate them. It should. Tim Cook. Looks like a nice guy. 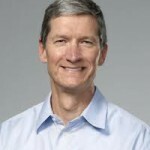 Tim Cook is Apple’s CEO. According to press reports, he answers e-mails from the public. 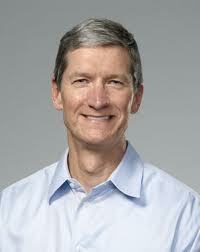 E-mail him at tcook@apple.com and tell him that you think Apple should donate iPads for use by ALS patients. Let see what he says. This entry was posted in ALS, Medical Science and tagged Apple, Intel, iPad, Stephen Hawking, text-to-voice, Tim Cook. Bookmark the permalink. While we are at it, let’s request that Apple stop creating a barrier to technology that already exists which makes an iPad accessible to individuals with finger, arm or shoulder disabilities. At this point people must jailbreak an iPad to install the app that lets you control it with a mouse (or mouse emulators used by people with disabilities such as a foot trackball or a head movement operated mouse). Apple so far has blocked these apps which make the iPad accessible. Yes, Apple might lose some sales of laptops if an iPad could do everything laptops do. I imagine though they might also increase their sales of iPad if they stopped withholding technology already in existence that could open the world of iPad up to more people with disabilities. At this point people with ALS who develop arm weakness have to discontinue using their iPad and communication method even though the technology exists that would allow them to continue. Tim, you must just not have thought of this. Right? Excellent point. I don’t see how a device manufacturer came to the conclsion that he was the only ALS patient who had “something to say”. You bet your sweet bippy they can afford it – Apple is making astronomical profits and Cook’s own compensation package with Apple is greater than the GDP of quite a few countries I could name. I’ve sent my email to him. Can’t wait for the report back!! I would suggest that Apple and Bill & Melinda Gates Foundation partner to utilize the infrastructure that already exists with Gates Foundation to provide essential technology products to PALS and others in such need. Autism is another area where this type of product can benefit an individual. If they need to use the “education angle” to feel like it aligns with one of their programs ….then they need to do so. Education happens for all regardless of “abilities” if given the right tools. Modeling such service and give back within your own country educates new generations of the power in giving. The Gates Foundation has the funds to buy the products at cost or an agreed lower cost. The Gates Foundation and Apple have the business contacts to influence further software and product development to sustain and grow with the needs of disabilities demographic. I am a Mac devotee and an ALS sufferer, so it dismays me to hear about their lack of generosity given the huge profits they reap on an annual basis. If Apple are not willing to donate (which I bet they’d be able to write off anyway, plus the marketing exposure they could garner would be worthwhile), then change should be made to have it covered by health insurance for those of us registered as disabled by ALS. I am contemplating purchasing an iPad for all the reasons cited in your blog, but given the high cost of living with ALS, a financial break on a potentially life-changing piece of communication equipment would be a blessing. It seems like such a no-brainer. Many people have asked, but no response yet. Send him a message, and get your friends to do it to.